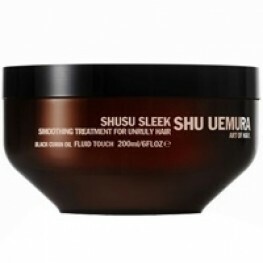 Shusu Sleek Nourishes Deep Down, Disciplining The Hair Fiber And Taming Volume. Black Cumin Oil Penetrates Deeply To Give Intense Control To Unruly Hair. Density Reduction And Detangled In A Single Step, Hair Echoes The Smooth Fluid And Resplendent Finish Of Japanese Satin. At The Origin Of Black Cumin Oil Is A Mysterious Flower, Nigella Sativa, Which Grows In Oases Under Optimal Conditions. A Precious Oil Known As The Oil Of The Pharaohs, Can Be Drawn From It’s Dark And Fragrant Seeds. A Key Ingredient In Remedies And Beauty Secrets For Thousands Of Years, Black Cumin Oil Is Legendary Throughout The Eastern World. 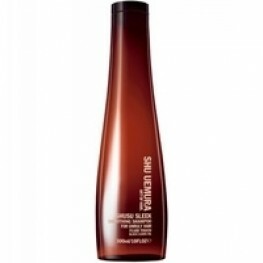 Shusu Sleek For Unruly Hair Satin Smoothness Black Cumin Oil What It Does... ..